Synchronize your operations with a rackmount GPS time sync server. Ideal for small networks. GPS antenna receives time from up to 12 satellites and delivers it to a Windows PC. NTP software converts your PC into a stratum one time server that provides precise time to a small network of devices. Rackmount clock displays time and satellite status. The time sync server is a secure, convenient and reliable method of time synchronization. 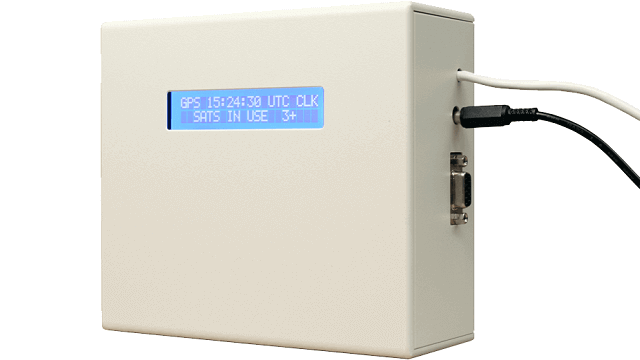 The server consists of a rackmount clock, GPS antenna and NTP software. When mounted with a 360° view of the sky, the GPS antenna receives a time signal from up to 12 satellites and delivers that time to a Windows PC. By using the supplied NTP software, you can configure the PC as a stratum one time server to supply synchronized time to a small network of other devices. The GPS clock displays time and satellite status and installs conveniently alongside your existing IT hardware in a 19-inch rack. By receiving atomic clock time via your own antenna, you receive synchronized time from behind your own firewall and maintain your network security. 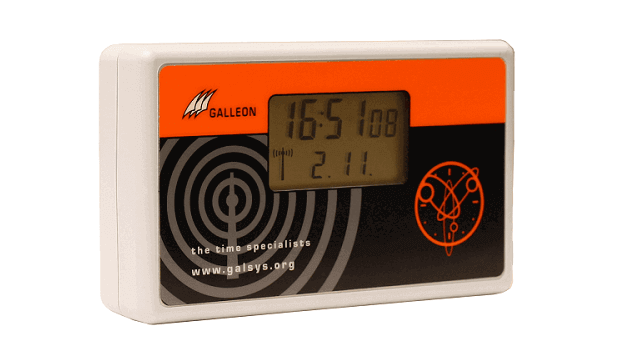 As a user-friendly method of time synchronisation, the time sync server provides an email alert if the GPS signal is lost. The TS-900-GPS also facilitates extension of the antenna cable, allowing you to position the antenna up to 1000 meters from the rackmount clock. This ensures that you achieve the most optimised location for the antenna, resulting in the most reliable signal. 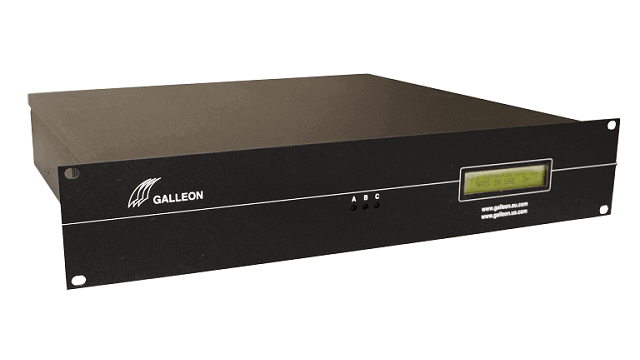 With a three-year warranty and lifetime technical support from Galleon Systems, you have complete assurance about the reliability and accuracy of your time synchronization server. Accurate: The antenna receives a time signal from up to 12 satellites. Extend the cable up to 1000 meters for the best signal possible. Secure: Sits behind your firewall to maintain security. Easy to use: Mounts in a 19-inch rack alongside your existing IT hardware. Reliable: Three-year warranty, FCC and CE certified. 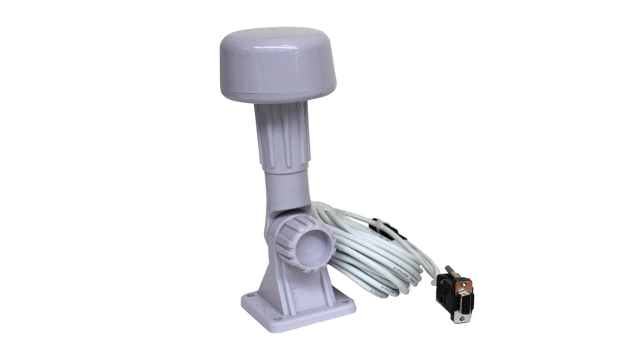 GPS antenna rated to IP65.